January 13, 2016 by The Junkie 0 comments on "Russian Phrases: 14 Ways to Say I Agree in Russian"
Want to learn how to say I agree in Russian? Of course! That’s why you’re here. Agreeing is a crucial part of conversation and the more agreement phrases you know, the better you sound. Today, you’ll learn just that. This is the most direct and literal way of saying I Agree in Russian. You can’t go wrong with this phrase… unless you’re a female. That’s right, the phrase above, more specifically the verb agree (согласен) is conjugated in the male form. And below is the same phrase in the female gender. Overall, a must-know phrase. A more casual way of agreeing in Russian. Literally, you are saying “truth” or “true” as that’s what “pravda” means. You can also say “Это правда – eto pravda” which literally means that’s true. English pronunciation: Da, ti prav. For when you want to say that someone else is right. Notice that the adjective “prav” or “right” is in the masculine form. Therefore, you can only use the above on a male. English pronunciation: Da, ti prava. We’re just adding an “а” at the end. 4) I couldn’t agree with you more. Russian: Я не могу не согласиться с вами. 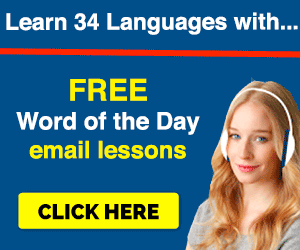 English pronunciation: Ya ne mogu ne soglasits’ya s vami. 5) That’s exactly how I feel. Russian: Именно так я себя и чувствую. English pronunciation: Imenno tak ya sebya i chustvuyu. Another way to say I agree in Russian… except with feelings! Yes, this a variation of “agreeing.” Knowing more Russian phrases like this gives you more ability to express yourself… and sound like an intelligent speaker. This is a direct translation and an important word to know. Not much else to add. 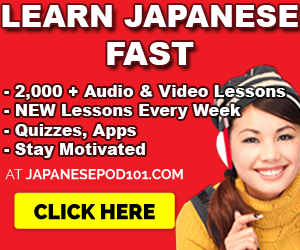 Use it like you would in English. 7) No doubt about it. “Somnenno” means doubt so by adding “ne” we negate it. And thus, there’s no doubt about it. 8) You have a point there. Russian: Ты прав в некотором смысле. English pronunciation: Ti prav v nekotorom smisle. If you have a sharp eye, you’ll notice that this too is a masculine way of saying I agree in Russian. “Prav” meaning “right.” The sentence literally means “you’re right in some sense” where you somewhat/partially agree. Russian: Ты правa в некотором смысле. English pronunciation: Ti prava v nekotorom smisle. 9) I was just going to say that. Russian: Я только собирался это сказать. English pronunciation: Ya tol’ko sobiralsya eto skazat. Russian: Я только собиралась это сказать. English pronunciation: Ya tol’ko sobiralas‘ eto skazat. English pronunciation: Polagayu, shto tak. Gender neutral phrase of agreement here. Anyone can say it. “Polagayu” can mean “I believe” or “I guess” and “shto tak” literally means “that’s how it is.” It’s also a weak form of agreement. Similarly to how you’d say “I guess…” in English when you’re not too confident overall. Or, you just don’t know well enough. 11) If you say so. Russian: Если ты так говоришь. English pronunciation: Yesli ti tak govorish. Also gender neutral and another weak form of agreement. Useful for when you just don’t care and let the other person have their way. A bit of a weak agreement but also, an all too common phrase. You can use this “maybe” in other contexts aside from agreeing. Another must-know word used as a way to say I agree in Russian. Not much to it. But if you didn’t know it before, you should know it now. Now you know how to say I agree in Russian. Let me know what you think. Do you want more phrases? How about phrases of disagreement? Be sure to review this lesson on how to agree in Russian. Feel free print it out for your own review. I love doing that. P.S. 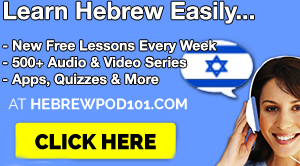 I highly recommend this for Russian learners. 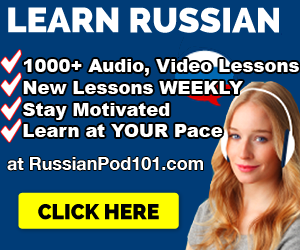 If you REALLY want to learn to Russian with effective lessons by real teachers – Sign up for free at RussianPod101 (click here) and start learning!